Demo for a single Icarus patch from Elevation using a re-synthesized trombone texture in 2 oscillators, 100% Icarus. Video demo for an Icarus patch from Elevation, the modulation wheel totally changes the pluck-like character of the sound into an evolving lush pad with filter movement, aftertouch adds vibrato. Improvising with a drone patch from Elevation which combines re-synthesized rubbed gong sounds with FM synthesis. 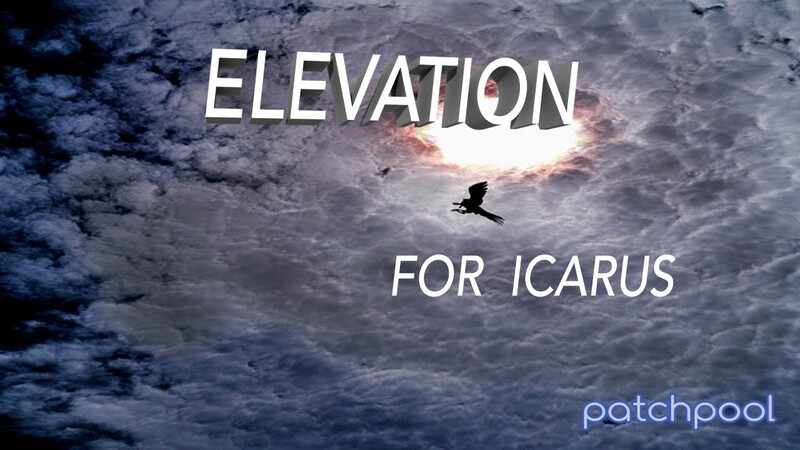 Short demo track featuring two sequencer/arpeggiator patches from Elevation for Icarus. Slightly epic synth track featuring two patches from Elevation - 100% Icarus. Improvising live on video with an Icarus patch from Elevation, some modulation wheel and aftertouch action, 100% Icarus. Wow, these are some pretty awesome patches! Demo for a single patch from Elevation for Icarus - made from/with re-synthesized waterphone sounds. Demo for a single patch Elevation for Icarus, re-synthesized/wave-tabled electric guitar feedback tones, layered in three oscillators. Modulation wheel/aftertouch and pitchbend action was recorded while playing the demo. Improvising live on video with a vocoder patch from Elevation, modulation wheel and aftertouch action added on the fly. Dreamy music combining three patches from Elevation for Icarus - some volume automation and a limiter on the master output. Only a few days of work left for this project, all fence-sitters should pre-order soon, if they want to save some cash. Live on video: stepping through/improvising with three Icarus patches from the drones&soundscapes category. Slightly soundtrack-ish demo using three patches from Elevation, a limiter on the master output, 100% Icarus. Improvising with a patch from the Instruments&Synths-category from Elevation for Icarus. Re-synthesized/wave-tabled guitar chord (acoustic guitar) in OSC1 routed through a tuned PM filter (guitar) in F1, re-synthesized/wave-tabled guitar repetitions (on the same pitch) in OSC2 routed to HP filter in F2. MW adds tempo-synced cutoff modulation via Step in F1 (resulting in pitch modulation) and amplitude modulation in F2 (also via Step). AT adds vibrato (not affecting the tuned PM filter). PB also transposes the tuned PM filter up an octave.